Tulane University has since released a statement clarifying its potential implementation of new meal plan policies. Though the university hopes students will be open to a meal plan expansion, it also acknowledges that some students might want to opt out. Therefore, the expanded plan will only be offered as feature. 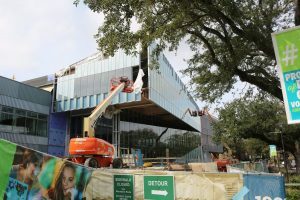 Additionally, Tulane says the funds from the proposed meal plan would not be used to fund construction on the new Commons slated to open August 2019. “Rather, by proposing a new meal plan, Dining Services hopes to enhance its mission as an essential component of the Tulane experience and provide students with dining options that cater to diverse tastes, incorporate the rich culinary traditions of New Orleans and build community,” the statement reads. The 77,000 square-foot addition to Tulane’s campus, The Commons, will soon replace Tulane’s aging dining hall, Bruff Commons. But at what cost? 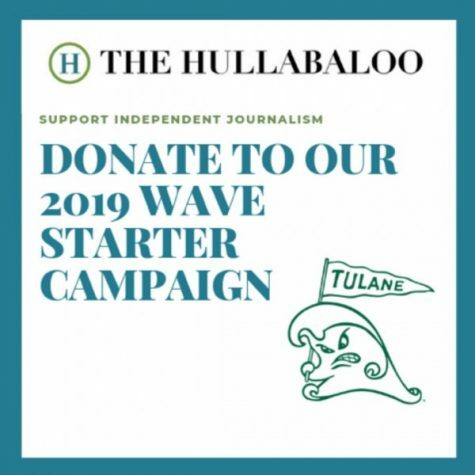 Starting with the Class of 2022, Tulane students are required to purchase a meal plan for the entirety of their undergraduate experience in order to pay for the university’s new complex. The estimated cost of the new Commons is $55 million, a much larger price tag than the $29 million it took to build the neighboring Lavin Bernick Center for University Life. For the Class of 2021 and older, Tulane has held that all students living on campus must enroll in a dining plan, with different, cheaper options available after the first year. Students who live off campus, however, have traditionally had the option to opt out of a dining plan altogether. Now, they will not have that choice. 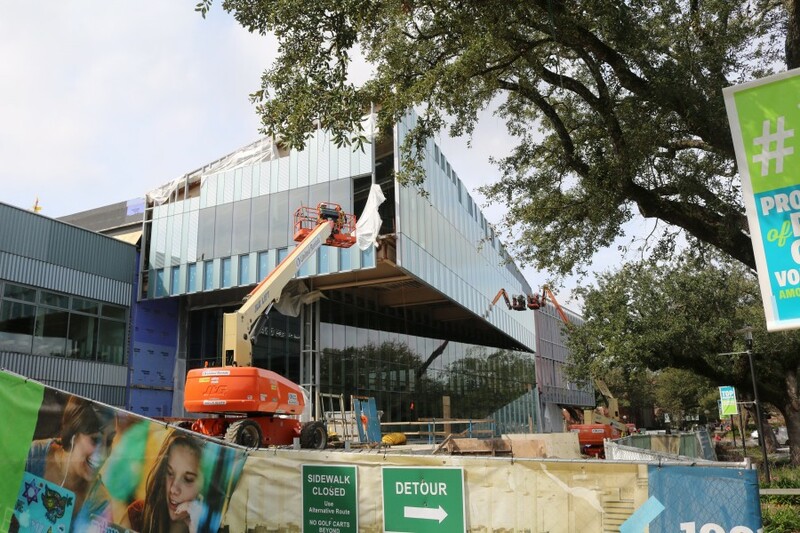 “Tulane administration implemented this policy to support the increase in undergraduate enrollment as well as the significant expansion of Tulane Dining Services as we transition from Bruff to the new Commons,” Assistant Director of Marketing and Communications Kate Simon said. The new dining requirements for third- and fourth-year students will be based off of the current upperclassmen plans. Because the Class of 2022 is still in its first year, the details of the options when students begin to move off campus have not been fully developed. “We know that students value variety and flexibility, and we will provide that in the dining plans,” Simon said. As part of the larger push to enhance student dining, Simon says that student feedback will be at the center of developing new options. Tulane freshman Yael Pasumansky was unaware of the implementation of the new policy even though it will affect her class once it reaches its junior year. She says what’s most important is a student’s ability to choose. 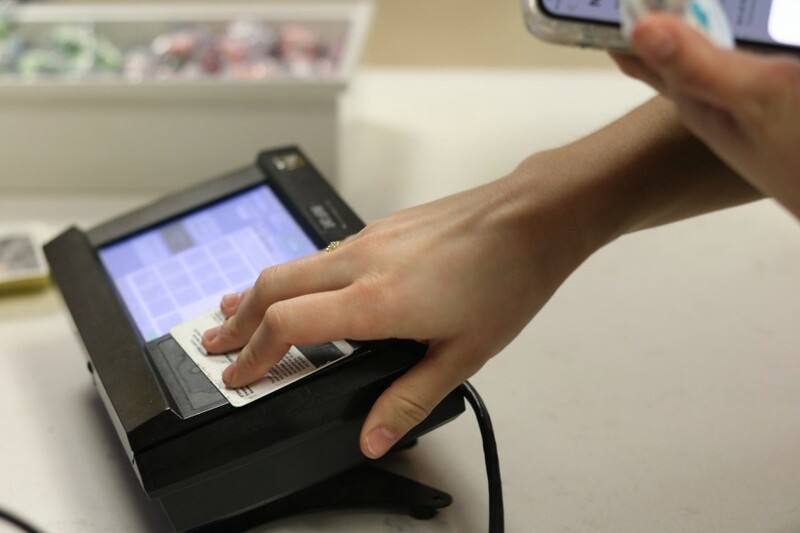 “I would say it’s important for upperclassmen to continue to have a choice, like as a junior or a senior I think it’s important to have a choice whether you want to be engaged in this meal plan,” Pasumansky said. Pasumansky recognized that this policy change may add an additional expense to some students’ budgets. “I do think that it could be a difficulty financially because I know a lot of upperclassmen have to manage their college financial situation as they get older,” Pasumansky said. Compared to Bruff’s seating capacity of 400, The Commons is expected to seat 1,100 students. It will have three floors, multiple dining spaces, classrooms and a variety of event spaces. The university is seeking to make students more comfortable by offering a larger dining area. “Our goal with The Commons and the redesigned dining plans is to make The Commons a place where students want to dine, not where they feel they are forced to,” Simon said. How can they do that? The class of 2022 was told meal plans were required only freshman and sophomore year. Why would everyone else be grandfathered in but not them? That is a big additional expense to spring on families. Not to mention that Tulane has little to no housing for said upperclassman, but Tulane is going to require them to buy a meal plan? Can they just get the food right? No student should be forced to choose a dining plan that they believe doesn’t meet their needs. With all the money being spent, can Tulane actually just provide a higher quality food experience, period? This would solve a lot of problems. Other schools manage to do this. Why not Tulane? This is ridiculous! I would be so mad and also even more out of money if I was forced to pay for a meal plan for food that I don’t like (including most of the LBC options). My first two years when I had to have a meal plan I rarely used it because I preferred making my own food and now that I am off campus and able to just buy my own groceries, I save money and also eat healthier. For some students, choosing to continue having a meal plan is probably what they want but it shouldn’t be forced upon everyone. Especially if students have dietary restrictions or just prefer being able to prepare their own food, even more so if they live off campus, they shouldn’t have to pay more for meals that they won’t be making the most value of. I LOVE the quote – “Our goal with The Commons and the redesigned dining plans is to make The Commons a place where students want to dine, not where they feel they are forced to“. Well you are literally forcing them … Tulane as an institution is disappointing and embarrassing. It’s very inconvenient for students living off campus to have a meal plan. If they completely rely on it then the commute for food is outrageous. If they are using it supplementally along with groceries, it’s a waste of funds. Overall a terrible idea by the administration. There are alternative ways to offset the construction cost (such as not constructing a terribly inefficient all glass building). I will be calling Kate Simon directly after this post to express my outrage on this policy as I did Not sign up for this. 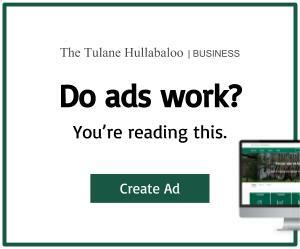 Tulane, get your act together and at least offer fair treatment to all current students. Anyone applying for future enrollment will at least know what they’re in for Before they arrive. People, and especially institutions of higher education should know better than this! You Never change the rules during the game, especially at the players expense! Please do the right thing and re-think this one. Is anyone surprised that Kate’s voice mail is full and I could only leave a message in the general mailbox? Let’s see how long it takes to get a return call! Tulane should just raise tuition to cover operating expenses rather than a forced meal plan. This is an odd and disingenuous way of collecting revenue. I won’t be sending any more of my kids to Tulane. even more shocking is that this change comes weeks after a petition garnering thousands of signatures was released asking the university to limit the meal plan requirement to only ONE year. disgusting, appalling and will be mentioning this to all high school contacts looking at higher education. Outrageous. The school doesn’t have enough housing for upperclassmen to live on campus which means most upperclassmen MUST live at a distance from school and therefore NOT near the dining service that they will be forced to buy? No logic and completely unfair. I would like to thank Kate Simon for returning my call today. She was quite gracious and empathetic towards all of us affected by this news. I look forward to our next conversation and a positive conclusion to this issue. The double-talk in this news is sickening. People should be fired over this policy and the BS. Goal: to make a place where students want to dine, not where they feel they are forced to,” Simon said. But the policy is all about FORCE. MANDATED expenses. The OPTION of NONE needs to be present. Tulane knows NOTHING about student variety and flexibility when the option of OPT OUT is off the table. Student FEEDBACK = Stop It! No way! By all accounts the new center will be a real boon to campus life. I’m sure the minimal dining plan for off campus students will not be a huge burden on students and parents and the new facilities will be well used and enjoyed. It’s kind of funny how the students and parents who complain about the dated Bruff facility are now complaining about expanding the dining options. Someone’s got to pay for it. To Parent threatening not to send another kid to Tulane: Fughabouit. We can live without your brat. Send him or her next door to Loyola.